When data is just sitting in your storage, it is really hard to understand what data can tell you. We understand things by actually looking at them. Data also has to be presented in a visual way to help people understand what it means. As I work as a data/software engineer, I used some of the popular tools and libraries. I know that it is time-consuming to choose the right visualization tool for you and your team. Sometimes, you choose it and find out that it does not fit your needs, and it is too late to go back and choose another one since your team has already started using it. I hope that this blog post prevents that costly incident. I divided this post into two sections: one for those who don’t know how to code and the other one for those who know to code. Please note that the order of the tools does not reflect a ranking. Supported database: very wide, AWS, Cloudera, Excel, Google, Hadoop, IBM, MapR, R, SQL Server, and many many more. I believe that Tableau is one of the best data visualization tools out there. I used Tableau before and it was quite easy to use. Tableau has different versions including Tableau Desktop, Tableau Prep, Tableau Server, and Tableau Cloud. The name of each product is quite self-explanatory. You can install the desktop version into your PC or laptop. The prep version is for ETL or Extract, Transform and Load. The server version allows you to install Tableau in YOUR server. Lastly, you don’t have to care about maintaining a server for Tableau with the cloud version. Because Tableau does not need coding, it has been selected not only by engineers and developers but by data analysts/scientists/engineers, marketing specialists, students, and many other people. My personal experience with Tableau was also great. What I liked about the tool is the completeness of the product. There can be a learning curve to get yourself familiar with the tool, but once you become used to it, it will be not difficult to create your report and dashboard and share it with your team members. One thing you need to notice is that their compatibility with R now. What does that mean? I also personally use R for data analysis and prediction. Now, Tableau can pull in the result of your R code and visualize it. It will be powerful to add prediction into your reporting. My opinion is that if you have enough budget for Tableau, I will strongly recommend this visualization platform for your team. Supported database: very wide, all major databases plus direct connectivity to essential 3rd party sources including Salesforce.com. When I researched best visualization tools, another Qlik product, QlikView, kept appearing in the rankings. Those articles that I referred to were written in 2017 or mid-2018. Some of them didn’t even mention Tableau. I visited their website and did some research, and I found out that they have another similar tool called QlikSense. As they put it, QlikSense is not just a visualization tool, but it also includes automatic data analytics. What does that mean? Many visualization tools require you to know how to query data by using database SQL. You will need to be good at not just simple SELECT, but at all those different JOINs and PIVOTs when needed. Learning SQL is a big learning curve in addition to the tool you are about to use. It seems that QlikSense aims at removing that barrier to reach out to a broader population. Some of the features that took my attention were, Associative Exploration, Search Based Analysis, and AI / Insight Suggestions. Associative Exploration is where you can use UI (no SQL) to join two data tables or sources. Search Based Analysis also removes the need for using SQL by allowing users to query data using human-friendly questions. Some of the examples will be “Who has the lowest sales record for this month?”, “Which city has the most branch offices”, etc. Lastly, AI / Insight Suggestions is a feature that its engine automatically finds you useful insights, which is similar to IBM Watson. So, if you have complex data, then you could consider using QlikSense for assistance. Power BI is Microsoft’s BI tool. Power BI provides wide integration options with various external sources and great chart and graph selections. It is a MS product, so I don’t think I have to stress its seamless connectivity to Excel. If you are a Excel guru and familiar with DAX (Data Analysis Expression), you can use it instead of SQL. I think that is a powerful way to attract huge excel user population into its BI tool. What will make Power BI different from Tableau and QilkSense? I referred to this source saying that Power BI has better features for financial analysis, data integrations, and big data integration. If you read the reference source, the post pointed out that Power BI is the only one platform that supports R and Big Data. But, that is an old story. Now, Tableau and QilkSense can integrate with R and Big Data. Now in 2019, data visualization and analysis have become an essential part within a team and an organization. These three tools always appear as top software for presenting data. All of them have been used by technical and non-technical people like business users. As I researched and reviewed other articles and blogs, there were more tools. The other tools that I considered adding into the list include IBM Cognos Analytics, Salesforce Einstein Analytics Platform. However, the features of the both are somewhat overlapped with the three introduced here. And, they do not have free version (only trial!) that you can use personally unlimitedly. So, to remove noise to your decision, I’ve excluded those two. As for Tableau, Power BI and QlikSense, it is not possible and not right to say only one of the tools will fit your requirements. BI market has become mature and tools share many common features. They all provide interactive visualizations, beautiful charts and graphs options, and even a built-in AI engine. For your data exploration, I recommend to pick one tool first and get yourself familiar with it. Once you and your team are happy, then you can buy a suitable product. Lastly, as a Mac user, I’ve downloaded Tableau Public for trial because the rest two, Power BI and QlikSesen only have a PC version. This section will introduce free open-source visualization tools that require manual jobs to install it and run it. Compared to the non-coding required ones, these code-based tools are highly customizable, but it requires lots of resources. But, for a startup or a large company, these tools can be useful for internal use, and it can be fun! Superset has been my favorite open-source tool that I’ve been using it for a few years. It was developed by AirBnb, and it has been selected by many companies. This source told me that some big brands are also using Superset. The companies include Twitter, Yahoo!, Udemy, AirBnb, and many more. When I came across a problem, I googled it and was able to find the answer. So it has a good community support. Superset is somewhere between non-coding required tools and libraries. You have to manually install it using Python, but once installed, you can use it like Tableau. People can create a dashboard by dragging and dropping graphs and charts easily. Superset also has other useful built-in features like SQL Lab, Annotations and User Role. You have to know basic queries and learn how to create charts. But, it was not difficult for me to actually use it. If you are familiar with Python and SQLs, then, you will be able to learn it easily. Thanks to the variety of graphs and charts, many tools provide D3 compatibility. Superset also supports D3. 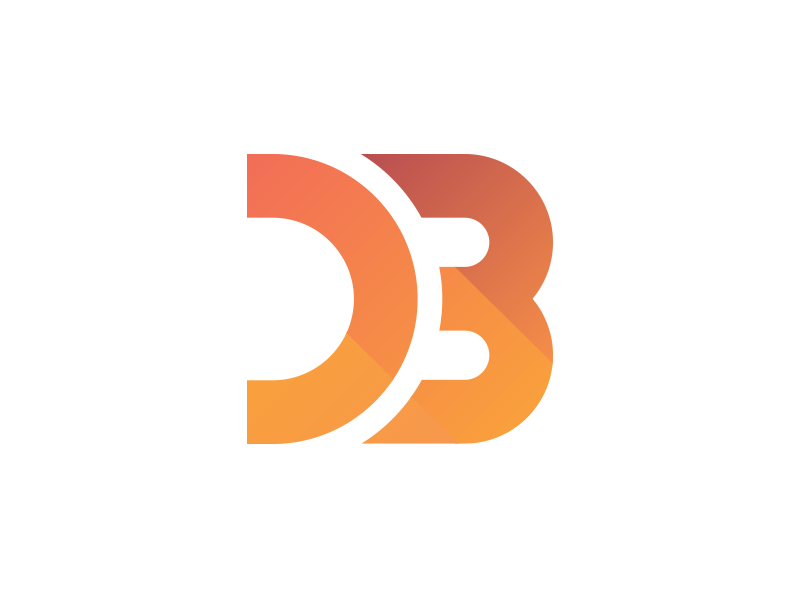 Due to the nature of library, D3 is highly customizable and is applicable to your website. It is known to have a high learning curve. But, it is a worthy investment to create your own robust dashboard. If you want something positioned in the middle of BI tools and visualization libraries, Superset will be a great option for you. You set it up once and you don’t have to code any more. It will work like any of the BI tools introduced here. If you want more customization and flexibility, choose either Google Chart and AmChart. AmChart also has a good map. Visit their website and find the visual aspect of their charts. In terms of visual aspect, I will vote for AmChart. Disclaimer: this blog has nothing to do with affiliate marketing, but it is the result of personal experience and research.